Jamie Foxx not writing Laverne & Shirley movie? Garry Marshall recently got some press after talking about a Laverne & Shirley movie, based on his popular sitcom. After hearing that Marshall wanted Jennifer Garner and Jessica Biel as stars, we then heard Jamie Foxx was writing the script. Now we hear there’s no truth to Foxx’s involvement at all. Laverne & Shirley, a spin-off of Marshall’s Happy Days, stars Marshall’s sister, Penny Marshall, and Cindy Williams in the iconic roles as two brewery bottle cappers. Each episode begins with one of the most famous opening sequences of all time, with the stars walking down the street reciting, “1, 2, 3, 4, 5, 6, 7, 8, Schlemiel! Schlimazel! Hasenpfeffer Incorporated!” Alongside them are David L. Lander, Michael McKean, Eddie Mekka, Phil Foster, Betty Garrett, and Leslie Easterbrook. The series ended the season Williams left, although they tried to keep it going without her. There had been tensions on the set but they were later resolved over time. Marshall and Williams were in talks to play themselves in a reality TV show titled Penny and Cindy for TVLand, but that series never seemed to get off the ground. Recently Garry Marshall talked about the project again, this time telling TV Guide at the 18th Annual Night at Sardi’s Fundraiser for Alzheimer’s that he and Jamie Foxx are working on the script for the film together. 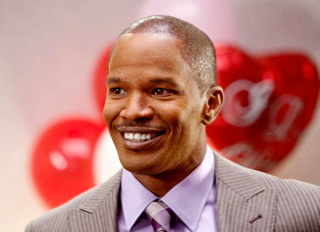 Interestingly, Foxx is yet another co-star of Valentine’s Day. 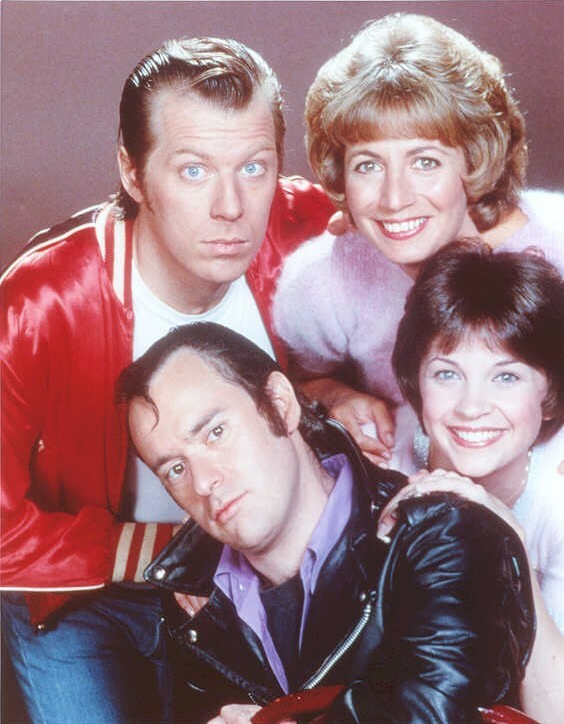 Marshall explained their take on the story would place Laverne and Shirley in a more modern age and would show how they came up on the streets. Instead of Laverne having an embroidered “L” on her clothes, she’ll have an “L” tattoo. He also indicated Foxx was trying to work in cameos for his sister Penny and Williams. Yet, when Foxx was later contacted to verify his story, his publicist stated there was “no truth” to it at all. It’s hard to know where the project stands. While it wouldn’t make sense for Marshall to lie about Foxx’s involvement, it also doesn’t make sense for Foxx to deny he’s doing it if he is. Perhaps the truth is somewhere in the middle? Either way, it looks like Marshall’s going to have to tap someone else to write the movie — perhaps yet another castmember from Valentine’s Day? What do you think? Is Foxx involved with the movie or not? UPDATE: It appears Foxx will be very busy with a new project of his own. He just signed a deal to executive produce a new sketch comedy show for FOX.